This unusual car hack can give the wireless signal from your car remote a boost. THIS SCIENCE TRICK will extend the range of your car alarm remote or the remote that opens your garage door. Simply hold the device up to your head or under your chin with your mouth slightly open. Holding it up to your head looks slightly less crazy. As silly as you may look this can actually extend the range by a few car lengths or up to 25 metres, apparently. Your device works by sending electromagnetic waves to your car or garage door and the further you move away from these the weaker the signal becomes. But liquids can extend the electromagnetic waves and your brain is full of liquid, so when you hold the device to your head your range gets a boost. Don’t believe me? Check out Professor of Physics, Roger Bowley explaining all in this video. And why would you want to extend the range? Well, you can open your garage door while you’re on the way there, to cut down on the time spent waiting outside for it to open. 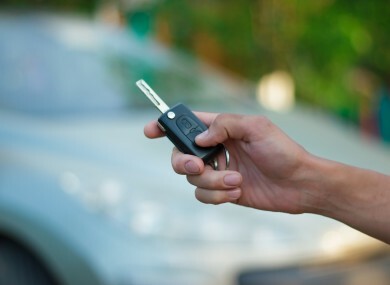 Or if you aren’t too sure if you locked your car or not, instead of running back you can just hold the key to your head and trust that you are in range (although you will probably run back just to check anyways, we all do). Lastly, if you can’t find your car in the carpark you can hold the remote to your head and have a better chance of setting of the beeps or lights so you can find your car quicker. Never say we don’t help you. Email “Hack: Use your head to extend your car's remote locking”. Feedback on “Hack: Use your head to extend your car's remote locking”.